Does Waymo have a European partner in mind? Alphabet’s Waymo hopes to launch the first US self-driving taxi service this year in Phoenix, Arizona, and potentially San Francisco, California. Depending on how these test runs go, Waymo could end up a household name in America. Now, we’ve learned that Waymo’s CEO also hopes to expand his company’s driverless taxis to Europe, though it could face stiff competition from local, more mainstream car brands. 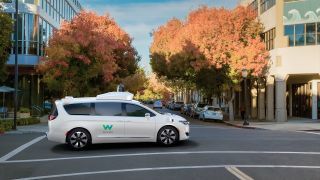 John Krafcik, speaking at the Automotive News Europe Congress in Turin, Italy, told the audience that, “There is an opportunity for us at Waymo to experiment here in Europe, with different products and maybe even with different go-to-market strategies,” Reuters first reported. Last Friday, Waymo tried out its Fiat Chrysler (FCA) self-driving vans on a private racing track in Italy to impress FCA executives. “For the first time we brought Waymo technology and demonstrated true Level 4 (autonomy), no humans in the front row, fully autonomous, no safety-net driving, right here in Italy - it was amazing,” Krafcik said. Waymo executives, including Krafcik, have begun spending more time in the European Union in recent months, which the CEO said was to help the company better understand how the EU’s self-driving regulations differ from US state laws. While Waymo currently holds the crown of most reliable self-driving car, it doesn’t enjoy the same name recognition in Europe that it has in the United States. And its parent company doesn’t have the best reputation in the EU, having been hit with a €2.4 billion antitrust lawsuit and a €3.7 billion data privacy lawsuit in the past couple of years. The most likely solution would be to partner with another, more mainstream brand to put Waymo self-driving cars on European roads. Waymo has a strong US distribution partnership with FCA and Jaguar; manufacturing began on 62,000 Fiat Chrysler minivans and 20,000 Jaguar I-Pace SUVs earlier this year. But, both partnerships exclusively cover US production, and Krafcik has made no indication that Waymo would partner with either for its European goals. One strong potential candidate is its self-driving rival, Uber. Its CEO, Dara Khosrowshahi, revealed last week that Uber had begun courting Waymo’s business, hoping to bring its driverless cars into Uber’s self-driving fleet. It’s entirely possible that Uber, an official EU taxi service, could provide a means for Waymo to jump into the European market. Waymo is far from the only self-driving company with goals for European expansion. It’s not even the only American one. Ford, designer of pizza-delivering self-driving vehicles, began testing its driverless car AI in Europe last year, and aims to launch its taxi service by 2021. But Waymo’s toughest rivals may come from European car manufacturers that enjoy both name recognition and brand loyalty from the region's residents. German automaker VW launched Moia in 2016, an Uber-rivalling taxi service focused on creating self-driving cars and electric shuttles to ease traffic and reduce accidents. Volkswagen already began testing self-parking cars at Hamburg Airport this year, and it's reportedly partnered with Apple for self-driving employee shuttles. BMW also began production on its self-driving car, iNext, in 2016, and aims to launch its own self-driving taxi fleet by 2021. In April, it opened a new R&D facility and campus north of Munich, Germany, where 1,800 employees will work on BMW’s rapidly expanding fleet. BMW’s partner, Amber Mobility, uses BMW’s i3 electric SUV for its self-driving fleet, and plans to launch a Zipcar-like service this year in the Netherlands. By 2021, Amber Mobility plans to launch a fully driverless vehicle. And, over in Stockholm, Sweden, Volvo is testing driverless cars and buses. With so many planned services set to launch in Europe within three years—many of which will be backed by big car brands like BMW and Ford—Waymo and Krafcik are likely wise to seek a European partner. Together, Waymo and its business ally will have a better chance of flourishing in such a crowded field.